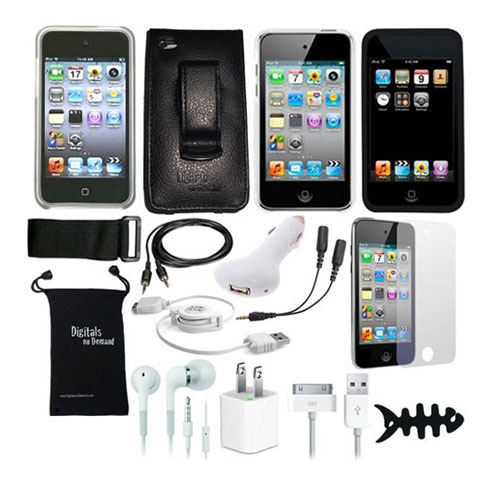 iPod Touch 4 Accessory Bundle by DigitalOnDemand includes 15 items of cases, cables, chargers, earbuds and more. 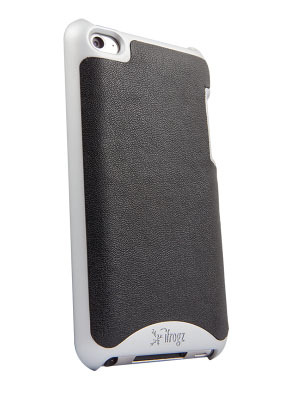 A leather flip case and a snap on hard cover case are part of the package. It’s now available for $39.99 at Amazon.com (original price was $79.99). 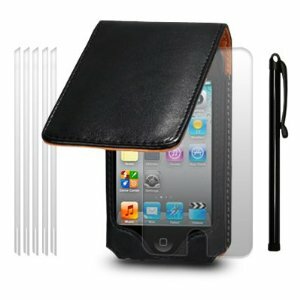 This complete bundle for your iPod Touch 4 is great for travelling.